The Caris Leadership Development Institute combines two days of education and growth with a little fun and employee recognition. We hold three separate Leadership Development Institutes and Awards Banquets—in Columbia and in Tennessee in Murfreesboro and Knoxville—to ensure every employee can attend. We ask our Interdisciplinary teams to trade off days of attendance so we can continue to care for our patients and their families. Our founders, Norman McCrae and Linda Judge McRae, are both chaplains. Linda is also a nurse. They founded Caris because they saw a great need for excellent end-of-life care. That great need is why Caris annually gathers more than 500 employees across five states to participate in our Leadership Development Institutes. 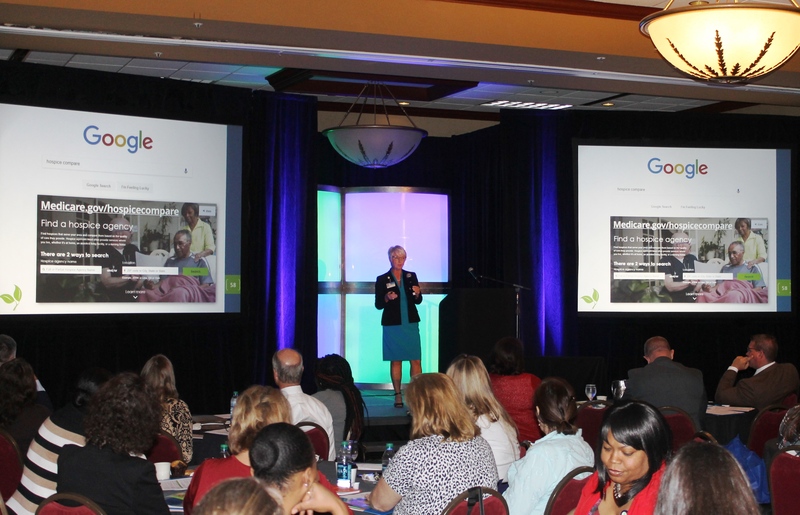 Since quality is a key to measuring Caris’ success in meeting that great need, Vice President of Patient Care Bonita Ledgerwood updates employees on Medicare’s new Hospice Compare website. Introduced on August 16 by The Centers for Medicare & Medicaid Services at medicare.gov/hospicecompare, Hospice Compare measures the nation’s hospice providers on seven initial quality indicators—and Caris hospice providers rank among the nation’s top performers. Bonita notes the areas where Caris falls just short of perfect and offers strategies for improvement. As always, we review Caris’ innovative Three Most Important Things program and share stories about the great care we provide to reinforce our core value of compassion. After a day at the Leadership Development Institute, all Caris employees are invited to attend the Annual World Class Awards banquets to recognize and celebrate their colleagues’ world class performance. The program honors employees, volunteers and Caris offices for excellence in Customer Service, Quality and Patient Care. Each World Class Award winner receives a trophy and bonus check. Employees are nominated by their peers. The Caris World Class Awards reflect and reinforce the Caris Values of Compassion, Accountability, Integrity, Respect and Service. Caris Healthcare also recognizes the collective team effort necessary to maintain high performance at each of Caris’ offices in Tennessee, Virginia, South Carolina, Georgia and Missouri. The office that is most successful in meeting and/or exceeding Caris goals receives the Caris Excellence Certification. This award promotes teamwork and encourages offices to attain the highest level of achievement in meeting Caris’ annual goals for quality care, patient/family satisfaction, service to referral sources and fiscal responsibility. This year’s winner in South Carolina is the Caris office in Greenwood. 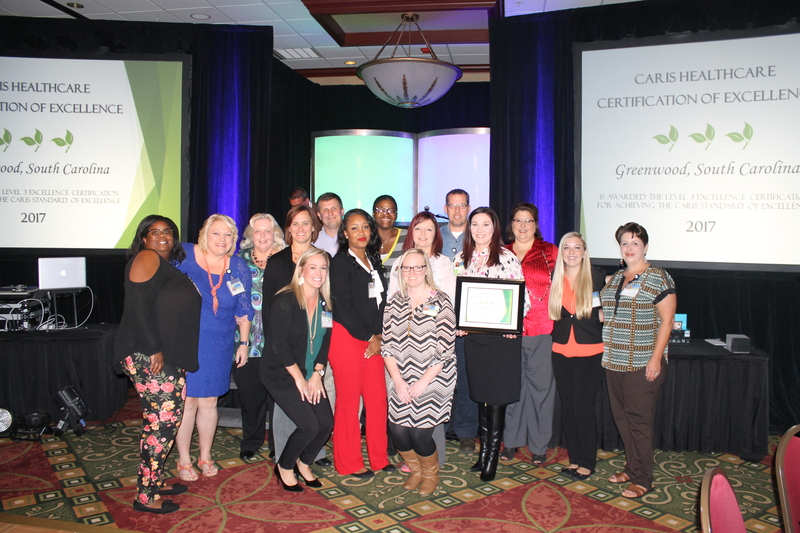 The Greenwood office accepted its Certification at the World Class Awards banquet. © Caris Healthcare, L.P. All Rights Reserved.